The Carers UK “State of Caring” Report for 2018 showed that carers face unusually high levels of poverty. Research by the New Policy Institute found that 2.1 million informal carers are in poverty in the UK. intensity and relationship to the recipient. Despite the huge contribution that carers make to our society, Carer’s Allowance remains the lowest benefit of its kind, at just £64.60 a week for a minimum of 35 hours (2018/19 rates). We regularly hear from carers and their families who are facing difficulties making ends meet and who are struggling to afford their basic living costs alongside the additional costs that are associated with caring. Over a third of carers (37%) responding to our survey described their financial situation as ‘struggling to make ends meet’, while a further 20% said they are in or have been in debt as a result of caring. Under half of carers (48%) said that they could afford their bills without struggling. For those who care for 50 hours or more per week, almost 2 in 5 carers (29%) said they were struggling to make ends meet, nearly a quarter (23%) said they are in or have been in debt as a result of caring, and 45% said they could afford their bills without struggling. Carers of working age (18-64) who live in a household in which no one works were most likely to report struggling to make ends meet financially, with just under half (49%) of people in this group reporting this. People caring for a disabled child, sandwich carers and those providing palliative or end of life care were also more likely than other groups to describe themselves as struggling to make ends meet, with over 2 in 5 of all these carers stating this (46%, 45% and 43% respectively). Those providing care to a disabled child and sandwich carers were also the most likely to report having been in or being in debt as a result of caring. Older carers, in contrast, were by far the most likely to report being able to afford their bills, with 7 out of 10 carers (70%) over 65 stating this and 77% of those over 75, compared to an average of 43% for carers of working age. 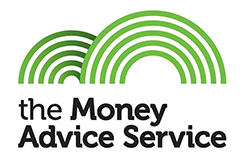 If you are struggling with your finances or with debt, the best advice is to get help. There are organisations that can provide you with information and support.